Nothing is worse than throwing out perfectly good food, or worse, watching it rot. Want to know uses for leftover eggs? You spent effort growing the fruit, or good money buying it, so you probably want to use it, right? Well, we’ve done the thinking for you! 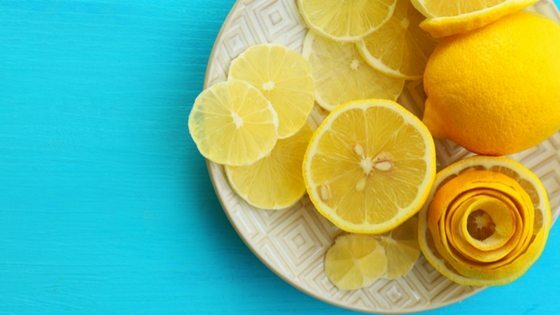 Here’s 8 ways you can use leftover lemons (or any citrus, really) to brighten your life, your table, and your kitchen! Print this article out, and keep it handy – so the next time you’re looking at a bag full of lemons and don’t have time to get creative, you have a list of ways to repurpose them! A few drops of lemon juice is a simple way to perk up a bland salad without adding calories. Simply squeeze about 1 teaspoon of lemon juice straight into salad leaves. Want to make a zesty dressing? Mix lemon juice with an equal amount of olive oil, a chopped or crushed garlic clove, and a bit of honey to sweeten. Play with it until it’s seasoned to your personal taste. Make a healthy and uplifting marinade for fish and chicken by combining olive oil, dried lemon peel, lemon juice, garlic, rosemary, and black pepper in a freezer bag. Add chicken to the bag, and shake the bag a few times to coat the chicken with the marinade. Let sit for up to 2 hours before cooking. For a whole chicken, use 1/2 cup extra virgin olive oil, 2 teaspoons lemon zest, juice from 1 lemon (squeeze out juice), 1 clove chopped or grated garlic, 1 teaspoon fresh rosemary, black pepper to taste. Slice leftover lemons and arrange them on a baking sheet. Place in freezer until thoroughly frozen, and then transfer lemon to a freezer bag. Perfect for ice cold drinks on a hot day! Arrange lemon peel slices on a cooling rack, not touching, over a baking sheet so they dry evenly. Dry rinds at 150 degrees for 1-2 hours. Grind in a blender if desired. Flavor desserts, tea, marinades, or soups with the dried peels. Brighten up a midday sandwich by adding both lemon zest and juice to mayonnaise. Grate dried zest and/or squeeze lemon juice into your mayo. Stir to combine, then use normally. Want to take it to the next level with probiotic mayo? Here’s how! Trying to add more water to your diet but struggling? Use leftover lemons to flavor water! Simply place lemon slices and/or the peel into a bottle of water and leave it overnight to infuse. Drink in the morning to start your day right! Add fresh lemon juice an ice tray, and freeze. Once frozen solid, transfer cubes to a freezer bag. Use whenever a recipe calls for fresh lemon juice – one cube equals about 1 tablespoon of juice. Don’t have enough lemon juice to fill an ice tray? Mix with water, and add frozen cubes to sodas and other drinks for an uplifting taste! Add lemon peel or slices to a mason jar filled with white vinegar. Allow to infuse over 7-14 days. Strain out lemons, and use the infused vinegar to clean dishes, countertops, and toilets.